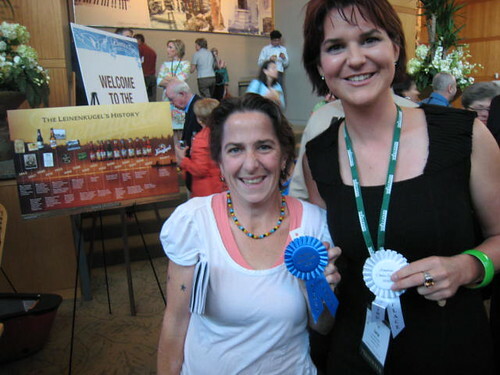 Ok, Last of the non-cheeses…Another local winner was Jana McClelland who took 3rd for her salted butter. This is actually the butter I have in my fridge right now. The McClellands are a long-time North Bay dairy family and it’s exciting to seem them producing products under their own name. And the butter is awesome! I have mentioned Sheana Davis’s Delice de la Vallee here many times, but this was the first time It was eligible to be in the ACS competition and, to no one’s surprise, it won its category (Fresh unripened mixed milk). Congrats Sheana! This entry was posted in Uncategorized and tagged acs 2010, acs favorites, mcclelland dairy, sheana davis. Bookmark the permalink.